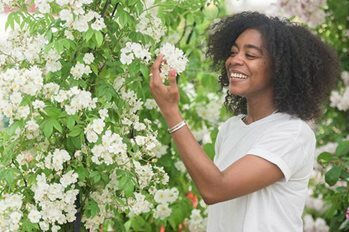 For the public and the horticulture industry, RHS Show Gardens represent the best of garden design, planting and construction. RHS Show Gardens are one of the main highlights at all RHS shows and attract widespread media coverage and press attention. Please see the individual Show Garden pages to download application forms when available. To discuss garden opportunities at any of the RHS shows, please email Exhibitor applications and someone will be in touch. When applications deadlines have passed, please fill out our Expression of Interest form. Take part in RHS events that enjoy worldwide prestige and national media attention. RHS Shows provide powerful platforms for presenting your organisation: there are opportunities to improve brand awareness, meet and interact with the shows' ABC1 audience and reach out to the RHS membership and network of dedicated supporters.